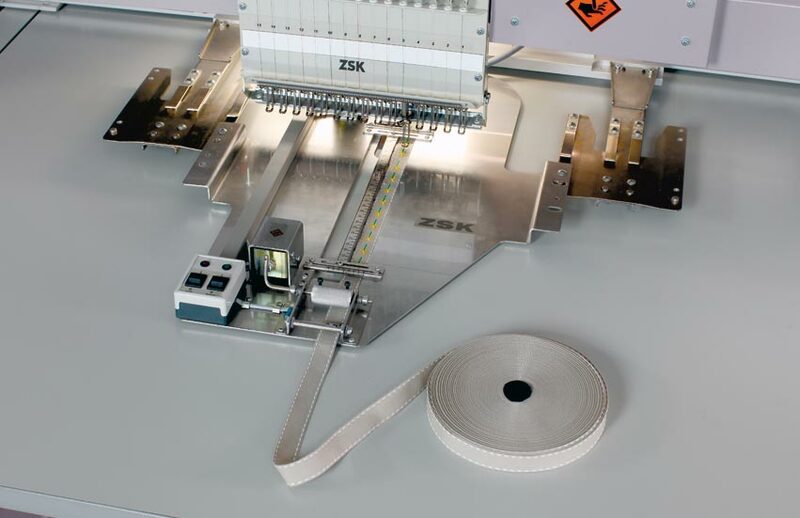 This device allows for embroidery on variable band widths between 15mm and 35mm. These bands can be labeled or finished utilizing embroidery embellishment – such as name tapes or belt band decoration. Besides this application, there are several products in the promotional & advertising sector that can also be embroidered – such as lanyards, VIP bands, etc. Other types of decoration that can be used with this attachment are ribbon embroidery, fashion, decoration & home textiles. There are no limits in creativity!